We seek to encourage our church in reading, studying, and living out Scripture in our daily lives. 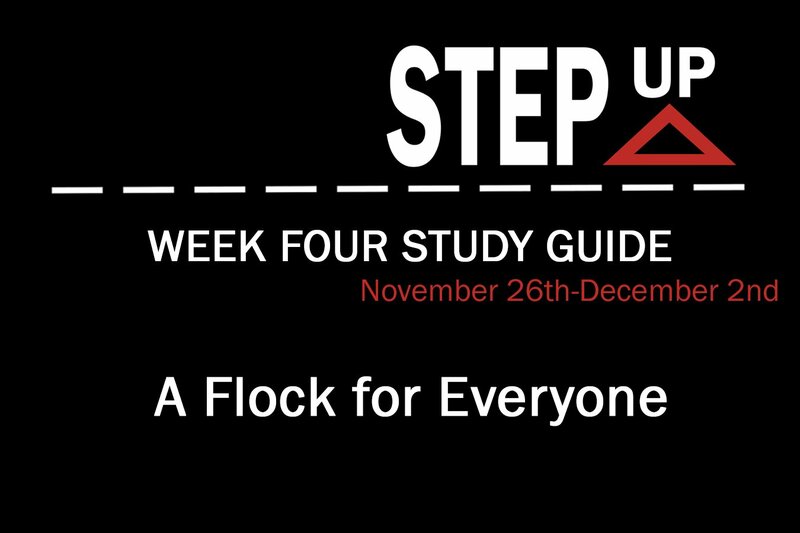 This study guide is designed to correspond to Sunday’s sermon (Nov. 26th) [Listen Here]. Read through this lesson on your own or with a small group. What are the different parts of the body of Christ? For example, someone who preaches could be considered the “mouth.” What other roles do members of the body play? Paul seems to be encouraging people by reminding them that everyone has a role to play in God’s plan. Why is this something of which we need to be reminded? Paul wants his readers to know that they all have a specific role to play in the church’s mission. We have all been given personalities and abilities that make us uniquely suited to serve the purpose of evangelizing the world. Sometimes, however, we feel as though we will never live up to the precedent that others have set. 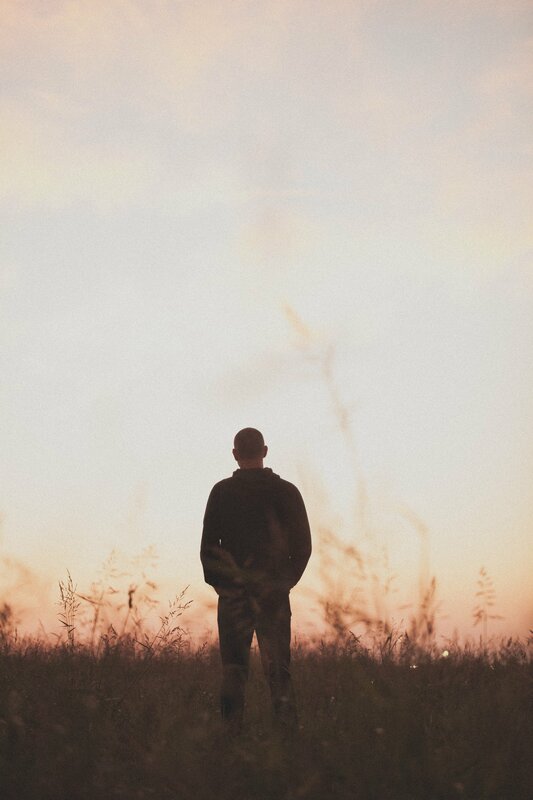 We decide that our prayers aren’t eloquent enough, or that we aren’t truly faithful if we don’t give up our possessions and move to Africa to minister to an unreached people group. However, the story of Jesus healing a paralytic explains to us that we all have a role to play, regardless of the “level” of talent we have. In verse four, the men encounter a roadblock, but simply find a way around it. What are some roadblocks we come upon when spreading the gospel? The four friends when they saw the daunting crowd. The paralytic when being brought up on to the roof. Jesus, as the paralytic is being lowered down to Him. It would have been far easier for these men to simply say “let’s just wait in line” or “maybe we’ll catch Jesus the next time he is in town, rather than go through the hassle of climbing onto the roof and doing what they did. Why do you think they chose the hard way? What do you consider your role in the body of Christ to be? Have you ever encountered a roadblock when you attempted to share the gospel with someone? How did you get around it? Who is someone that you have hesitated to talk to about Jesus, and why? A major new idea that Jesus brought to the followers of God was the concept of “gentile inclusion,” that is, that salvation wasn’t to be kept to the Jews anymore! Instead the whole world was not included in the church’s mission to expand the Kingdom of God. Things haven’t changed. While it is easy to say “I agree, the world needs to know Jesus” it is much harder to get around our own personal concept of who is worthy of evangelism. Sometimes, we just can’t stand a coworker and don’t want to talk them more than needed. Sometimes, we’re holding a grudge against someone who used to be a friend. However, the culture of the church needs to work against the culture of the world. Rather than putting our own desires and opinions first, and expecting to be served, we need to see others as more important than ourselves, and realize the urgency with which we should be spreading the gospel to all people! Pray for your role in the body of Christ to be revealed to you, and for opportunities to play that role. Pray for opportunities to stretch your comfort zone, to live out the fact that everyone in the world is deserving of the gospel of Jesus Christ. This is the first blog post in a series of posts on the subject of “Worship.” God placed a desire in my heart to share what I have been learning in my first seminary class, “Practices of Worship.” This blog series will draw from lectures and reading materials from that class. For me, it has been a powerful and formative experience, and has revealed to me the importance of recognizing that our life is our worship. My hope and prayer is that you would be challenged and encouraged by what God has been teaching me over the last few months. For many people today, words like “worship” and “praise” have become synonymous with music, with songs. Yet, simply defining worship and praise as musical is to diminish what worship truly means. Music is, of course, a way in which we offer up praise and worship to God – but worship is so much more than melody. God divinely wove into our entire being a desire to worship. Just as we were created to be in relationship to God with our whole self, so too was worship designed to engage us on every level. When we are truly and rightly expressing worship to God we are using all that we are to praise Him. Worship engages us in the many dimensions of who we are. It is our heart, our soul, and our mind – united in the process of offering up worship to God. True worship isn’t a single simple act of song or praise, just as it isn’t only an event that we attend on a Sunday morning. True worship is a lifestyle, to put it another way: our life is our worship. Worship doesn’t exist solely within the confines of a song, service, or an experience. Worship exists in our very DNA. There is no such thing as “your life in worship”, and “the rest of your life.” Either you are living a life of worship or you are not. As followers of Jesus, we are called to offer up our entire self our entire life as worship to God. These two verses, written near the end of the Apostle Paul’s life, are powerful and life altering. You may have noticed that first word: therefore. That word is a red flag for us, it should get our attention, and when we see that word we should always stop and find out what the “therefore is there for.” This is signaling a conclusion to a previous argument, in this case Paul’s argument is the entire eleven chapters of Romans preceding this verse! For eleven chapters Paul has been laying out his theology of who God is and what God has done, and now in chapter twelve he pivots and lays out what our response to all of that should be. That response is that we should, in light of God’s mercy, offer up ourselves – our whole selves – as a “living” sacrifice. We offer up our friends, our family, our hopes and dreams, our careers and ambitions, our possessions, our time and our money; everything we have is given up in worship to the God who gave us everything He had! Our spiritual act of worship is our life. A whole and complete life that is holy – which simply means “set apart” or “different.” By living life differently from the world around us, by breaking the patterns of the world and culture that surrounds us, we are offering up acceptable worship to God, True worship. A sacrifice of our entire being is how we respond to God and how we worship Him. Our life is our worship. As true believers, we are to live in worship all the time. When we become followers of Jesus, we give up everything in service of our Messiah. There is no part of ourselves, or our life, that exists outside of our life in Christ. Jesus invades the entirety of our life and transforms us within all dimensions. He leaves nothing un-altered or un-touched. 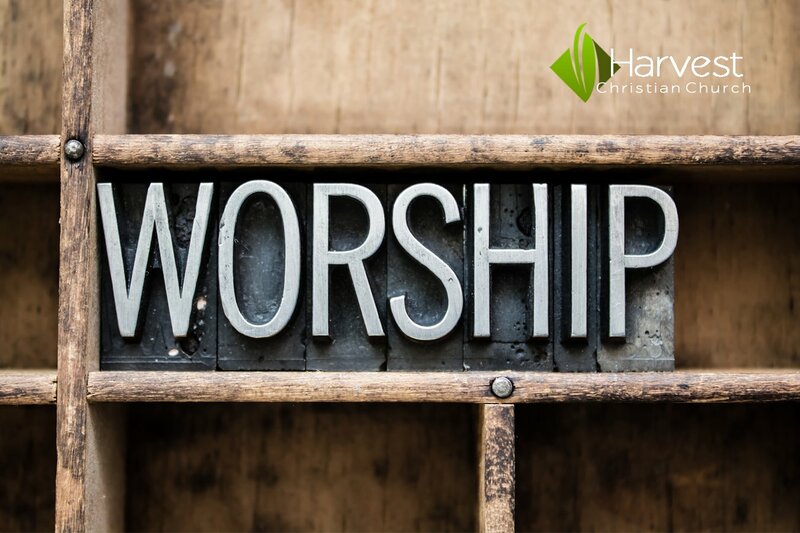 During this blog series, we are going to be looking at what it means to live a life of worship. It begins today, with recognizing that our entire life is our act of worship. God created us to live in worship, and true worship engages our entire self and our entire life. From there, the next step is to determine what it is that we are worshipping, because we are all worshipping something (and it may not be what we think) and worship changes us; it is formative. Equally important to developing a life of worship is to identify and recognize the purpose of worship. Finally, we will be taking some time to examine different patterns, or practices that we can incorporate into our lives that will help us cultivate a life of worship. To be clear, having a life of worship doesn’t happen overnight. Instead, it is something that we strive for every day for the rest of our days. A life of worship is a life-long pursuit. Becoming a follower of Jesus isn’t the end of our story, it is the beginning of our story. Now is when the real work begins. Make no mistake, building a life of worship will take work and purposeful intent. God is always revealing to me my need to grow and mature into Him, and I am convinced that I will not be fully matured until Christ returns and finishes the good work in me that began long ago. As you read this series, it is my hope and prayer that God will speak into your life and your heart and reveal to you how He wants you to be living your life. For He seeks to give us life abundantly. Living a life of worship is the path toward realizing the good life. As we examine the purpose of our lives and worship, and practices that we can take to draw closer into that life of worship, remember that it takes time and hard work. Also, do not expect to take the practices of worship and jam them into your already busy life. These practices aren’t to be added in to your life, they are to serve as the very foundation of your life; each aspect of your life and work should revolve around living a life of worship. May the Lord bless you and keep you, and may His most Holy Spirit bring you comfort and new insight as we seek to draw closer to the God who loves us and continue along our life-long journey into a life of true worship. Amen. Seriously, check it out – read Romans 1:1-12:2 and see how Paul builds and builds on one theological point after another, it’s awesome. Think of a New Year’s resolution….so many of our resolutions fail because we don’t make significant, lasting, and sustainable changes to our pattern of life in order to support our goal. Transforming your life into a life of worship can’t function like a new years resolution. Instead, our life must be re-ordered to that everything supports our new lifestyle. Step Up: So That Others May Know! We seek to encourage our church in reading, studying, and living out Scripture in our daily lives. 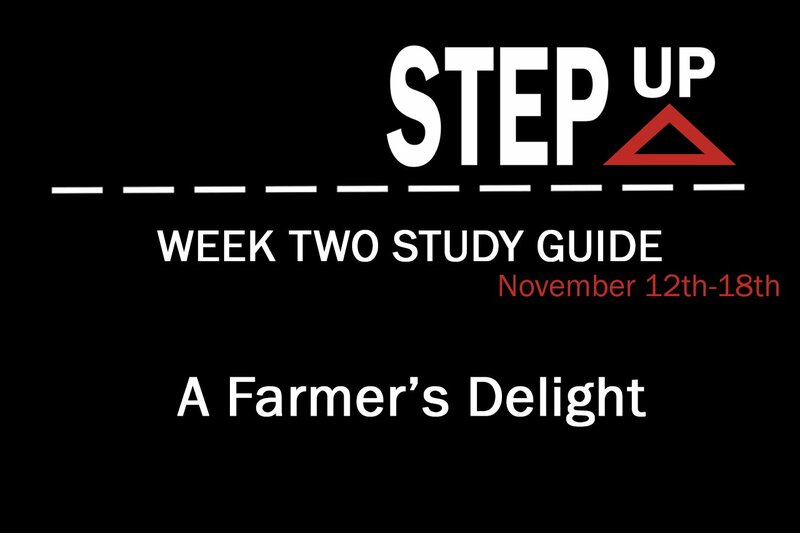 This study guide is designed to correspond to Sunday’s sermon (Nov. 12th) [Listen Here]. Read through this lesson on your own or with a small group. The story about the sending of the 72 missionaries in Luke 10 holds a special place in the heart of Harvest Christian Church. This is where we get our name from, when Jesus explains to the men he is sending that “the harvest is plentiful, but the workers are few.” We have the mission of the church right in our name! The Pacific Northwest is a region notoriously averse to Christianity. While our harvest is certainly plentiful, its roots are deeply planted, and it will take a lot of work from the workers to get them free. This week, we take a look at Jesus’ mission briefing to the laborers he sent out in to the fields to take a harvest. When sending His people out to spread His gospel, Jesus sent them in pairs. Why do you think He chose to do it this way? At the end of verse 1, the author makes a note that all of the places that Jesus sent the missionaries were places He Himself was about to go. What is the significance of this? Jesus then begins to give the missionaries some concrete advice for when dealing with people on their mission- what to bring, who to talk to, how to handle rejection, etc. It is clear that Jesus knew how his people would be received among those they sought to bring into God’s Kingdom. However, rather than save them the pain of rejection or even the possible legal backlash of preaching the gospel of a man considered to be a heretic, he chooses to instead equip them with knowledge on how to handle it. Who are the two groups discussed in verse 2- the harvest and the laborers? Notice that Jesus tells them to pray to the “Lord of the Harvest.” If the harvest is made up of those who have not accepted Jesus, why is he described as their Lord? Jesus tells the seventy-two to rebuke those that reject their message, with what could be considered pretty harsh words. Does this conflict with the gospel of peace and grace that Jesus came to preach? Sometimes Christians run the risk of surrounding themselves with only other Christians, and have few opportunities for evangelism. How can we avoid this problem? What are some “wolves” that we face today? What does it look like, in practicality, to “shake the dust off your feet” in real life? It is the mission of the Church to bring the gospel of Jesus to the world. Sometimes we feel like we can’t be a missionary unless we dedicate our lives to some sort of disenfranchised people group on some other continent. Or that maybe we don’t know scripture well enough, or have too many personal sins to deal with before trying to convince others to become Christians. The truth is, there is absolutely nothing that excuses us from reaching out to the world that desperately needs the hope that we have. We are the doctor handing the cure to the sick. We are not the cure, nor are we are not the one who created it. We are simply the conduit through which those in need can be healed. We are the laborers standing before a field ripe for harvest. It’s time to get to work. Take some time to ask God for wisdom in how to approach the harvest that has been set before you. Ask for opportunities to show courage in your evangelism and to be able to handle rejection when it comes your way. Pray that we will not let any excuse stop us from getting into the field and reaping the harvest that is waiting for the light of God. Week One: Keeping the Main Thing the Main Thing! We seek to encourage our church in reading, studying, and living out Scripture in our daily lives. 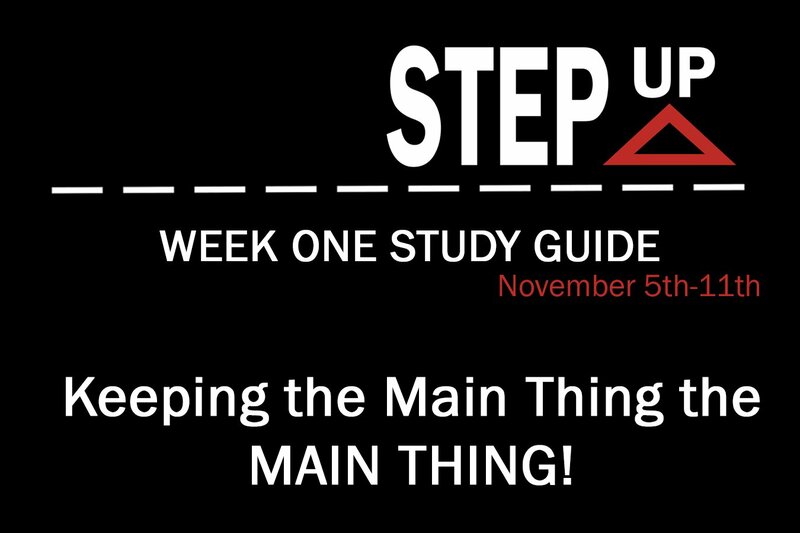 This study guide is designed to correspond to Sunday’s sermon (Nov. 5th) [Listen Here]. Read through this lesson on your own or with a small group. We, as the human race, have a tendency to get stuck in our ways. When we discover a way to do things or a way of thinking that we agree with, it is often difficult for us to break away from those methods. It isn’t hard to understand- predictability is comforting. Take, for example, a school bus route. Every morning, the students wait out at the bus stop at the same time, because that is when their ride to school will show up to collect them. If the driver changed what time he got their every day, the students would not be able to know when to meet them and would probably be late to class- or not even get to school at all! It’s easy to see why we like our routines. However, there is a danger in becoming too comfortable in those patterns. When that pattern ceases to be efficient or effective, then we probably should learn to change, lest we start to find the ritual more important than why we take part. This was a major issue for the Jewish people. In fact, their inability to break from their long-practices traditions and rituals is what led to the execution of Jesus! Let’s take some time to examine what is truly important to God, and how we have gone astray from it. What parallels can you find between the different stories? Why would Jesus rapid fire several stories that lean toward the same underlying meaning? Which story speaks to you more? Do you have any personal experience that seems like it could have been used as one of Jesus’ examples of seeking that which is lost? The Jews had long assumed that they were God’s chosen people. But when Jesus came onto the scene, he began revealing that His grace is for all, not just the select few. How do you imagine the people in Jesus’ audience would have reacted to these parables when they heard them? Compare this passage to modern-day church activity. Do you feel as though we do things differently? Notice that this passage does not mention whether or not the believers were going out of their way to evangelize to others. That being said, what would make the church so attractive that they were growing on a daily basis? If you were to condense this passage to a simple phrase, like a slogan for the church, what would it be? What is something that gets in the way of you trying to keeping evangelism at the heart of your ministry? How can we, as a church, try to recreate the feeling of the believers in Acts 2? Is that something we should attempt to do at all, considering the differences in our cultures? Who is someone that you can introduce to Christianity, despite their “unworthiness?” Remember, ALL of us have fallen short of God’s glory. Often, a danger that we may stray into in our evangelism is trying to convince others that they are doing things wrong, and that Christianity is the right way to live. While absolutely true, we must recognize that the early church attracted vast numbers to their group by simply living in a way that created a better world for those involved. They provided when someone was in need, spent time in each other’s company, and, most importantly, worshipped and studied the scriptures one body, yearning to know God better. We have an opportunity to seek and save the lost, bringing the world to the foot of the throne of God. However, that will not happen until we put our own personal preferences and desires last, and choose to pursue that which is most important to God. 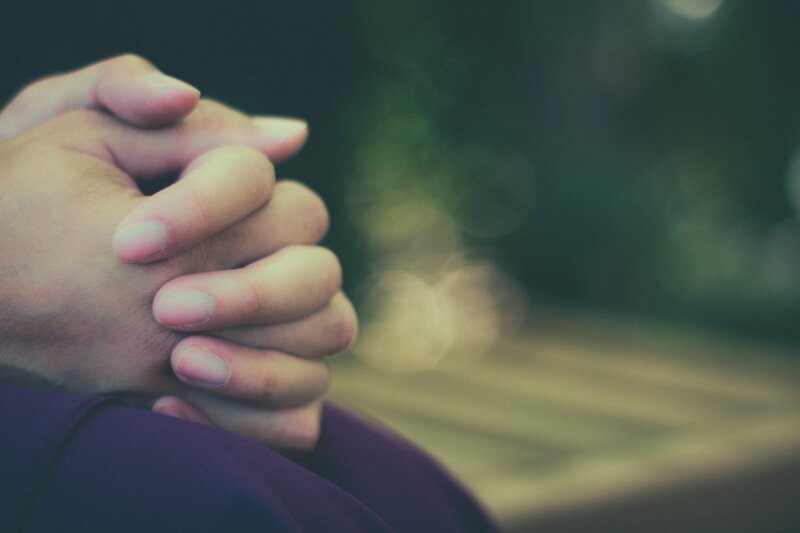 Take some time to pray that we as a church can always strive to keep only that which is important to God at that heart of our ministry to others. To be able to understand that seeking and saving the lost is the heart of the Father, and, therefore, should be the heart of the church, too. 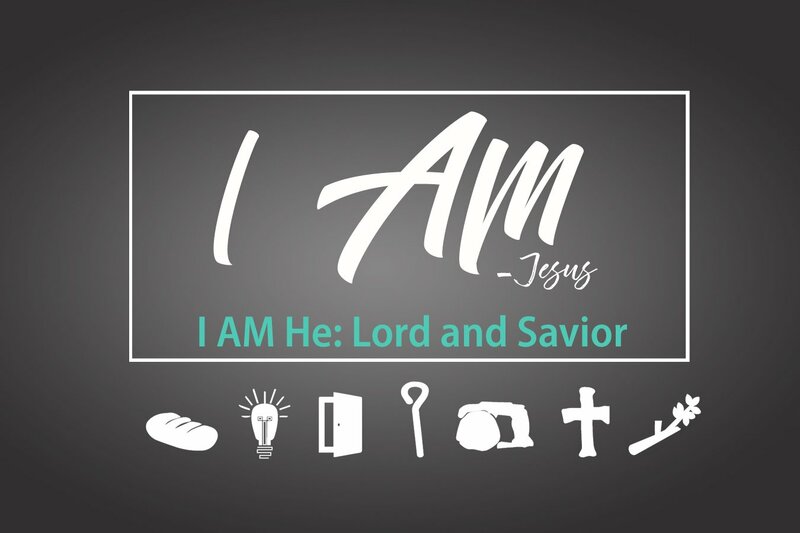 In our eighth and final week of studying the “I am” statements of Jesus in the book of John, we are adding a “bonus” statement to the traditional seven. Typically, the passage in John 18 in which Jesus says “I am He,” is not included in what is studied. However, we felt it was a great passage to add to our series, because it gives us great insight into who Jesus is, specifically, I think, that He is both our Lord and our Savior. Sounds pretty standard, right? The Christian believer accepts Jesus Christ as their Lord and Savior through the ritual of baptism to publicly announce that this is how they will now be living their life. In his sermon on Sunday morning, youth pastor Steve Valdez talked to our junior high and high school students about Jesus’ interaction with the Roman guards in the Garden of Gethsemane. If you would like a refresher, open up to John 18, and read verses 1-11. Jesus actually makes the statement “I am He” twice in the conversation, but with very different intentions each time, demonstrating both his Lordship and the saving grace he extends to humanity. Verse six informs us that there was a powerful after effect of Jesus’ first declaration of His identity. They “drew back and fell to the ground.” Now because we are given no other information as to what may have caused this sudden toppling, it is clear that it is a result of Jesus’ innate power as God emanating from within Him. In this moment, Jesus is Lord. He is demonstrating his Godhood and telling the soldiers that they do not have power over Him, that his arrest is only happening with his submission. However, the story continues. After the soldiers get up and brush themselves off, Jesus asks them again, “Who are you looking for?” When they respond the same way as before, so does He. With one caveat, Jesus adds to his second declaration of identity a command to allow his disciples to go free, and to just take Him away. In this moment, Jesus is Savior. With full knowledge of the events that would transpire as a result, Jesus emphatically asserts that he is who he is. While doing so, he creates a path for those with him, who are also guilty of blasphemy and Sabbath-breaking, to go free. Jesus takes on the full extent of the punishment himself. So how do we respond to this amazing moment in scripture? We reclaim Jesus as both our Lord and Savior. While they may seem like a no-brainer, I want to challenge you to honestly examine your attitude toward Him. I believe that most people tend to follow Jesus as either one or the other. Some of us tend to see Him as just our Lord. We follow his commands, doing the things he did, and generally can check off the boxes of the physical acts of obedience that we carry out as our way to be faithful. While that is certainly not a bad thing, we often start to see those things we do as what saves us from hell. Like the Pharisees, we start to view the rules and traditions we follow as our savior, rather than the One who instructed us to do them. On the other hand, many of us tend to simply allow Jesus to be our savior. We gladly accept his grace and forgiveness at our baptism, but then live life in ways that tends to gratify ourselves. Our behavior does not reflect the claim that Jesus is our Lord, the one whom we have given our devotion and on whose words we set our ways. We will all fall into these categories at some point. You probably identify as one of them right now. Take time to repent and pray. Ask God for forgiveness and realign your thinking with the great I Am. Or is he who you claimed he was, both Lord of your life and Savior of your soul? Missed Sunday’s Sermon? Listen to the I AM Series [here].